Rangers surrendered the lead three times as they lost 4-3 to Spartak Moscow in a thrilling Europa League clash on Thursday evening, and there were plenty of talking points to take away from the clash. An own goal and efforts from Daniel Candeias and Glenn Middleton put Rangers 3-2 up at half-time, but Spartak hit back in the second period with two quick goals which handed them a huge victory. 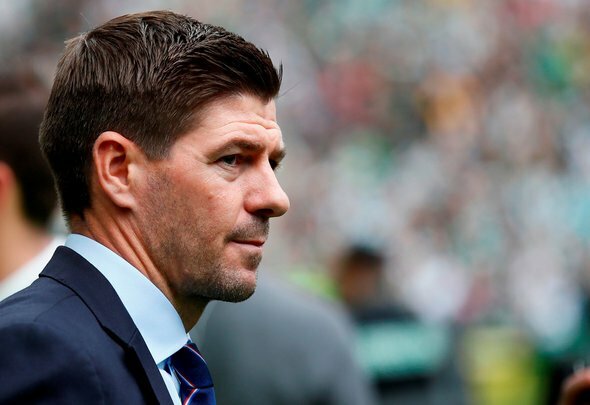 This is Futbol have picked out three things we learned about Rangers v Spartak Moscow below. Rangers have defended well for large periods of the season so far, but during the times when they have not done so it has been pretty comical to watch. Some of their biggest issues at the back stem out wide, with their full-backs failing to impress this term. Captain James Tavernier has inexplicably gone off the boil in recent weeks after signing a new contract, with the Englishman really struggling with the defensive side of his game. Jon Flanagan on the other flank has not fared much better, and the former Liverpool player had a bit of a shocker on Thursday. Andy Halliday is proving a better option than him at the moment, and Gerrard must axe the 5’11” liability as soon as possible [Transfermarkt]. When Lassana Coulibaly first played for Rangers following his loan move from Angers, the Mali international looked the real deal. Rangers fans were raving about the 22-year-old left, right, and centre, and he was seen as nailed-on to become a target for Steven Gerrard to sign on a permanent deal. Fast forward a few months and the young enforcer looks a shadow of that player, with Coulibaly really struggling to impact games in recent weeks. His class is obvious enough but Coulibaly is really failing to impress with his displays lately, and he may end up seeing the axe if he is not careful. One player who came out of the loss with some credit is winger Daniel Candeias, who put in another industrious display for the Light Blues. The Portuguese wide man scored the best of the goals as well as he cleverly brought down Jon Flanagan’s long ball before emphatically finishing past the goalkeeper. He also should have had an assist late on in the first half with a wonderful ball to Alfredo Morelos, who finished well but was wrongly adjudged to be offside. All in all it was another hugely positive display from the 30-year-old, who continues to become one of the most impressive players at Ibrox.